If you are like yours truly, then you most likely spend a lot of time online while being on the go. Whether it is checking email or watching YouTube videos on the sub, one’s monthly data consumption can take off without even realizing it, leading to a potential “bill shock”. 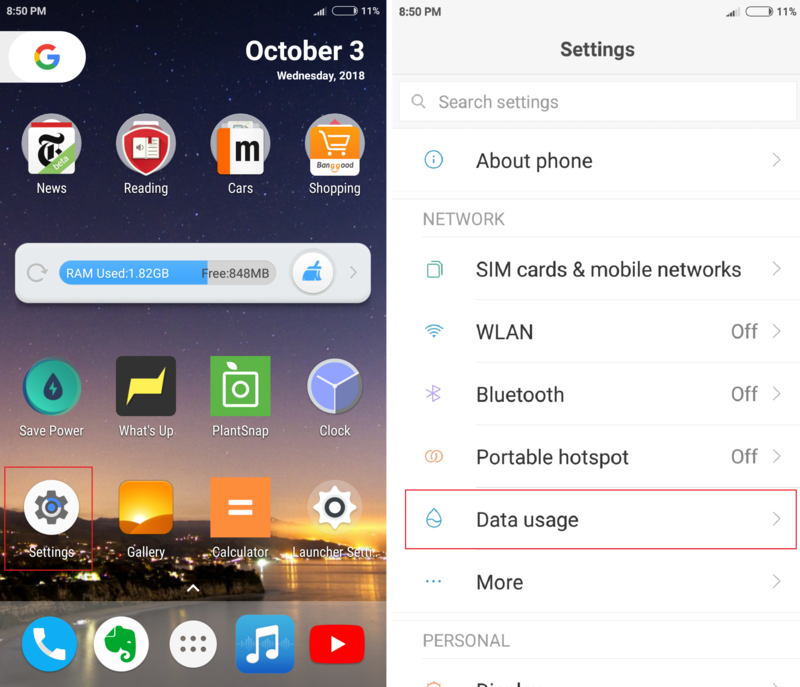 In this tutorial, we are going to be showing you how to find and manage your data usage on Android smartphones and tablets. Most manufacturers include data usage info within the phone’s Settings app. Some manufacturers include data restriction options, which allow users to set a specific consumption limit for every month, depending on one’s data plan. Once you’ve consumed the specified amount of MBs or GBs, data will be automatically turned off and a relevant message will be displayed alerting you of so. Beside raw data consumption numbers, more comprehensive details are also available, such as how much data each app consumes. Social networking apps such as Facebook, Instagram, Snapchat and the like, usually account for the largest chunk of the usage pie. That’s because they feature lots of video and photo-based content and they constantly run in the background to deliver notifications in real time. In the unlike event that your phone does not support data usage information, you can always try one of the many free options available on Play Store. 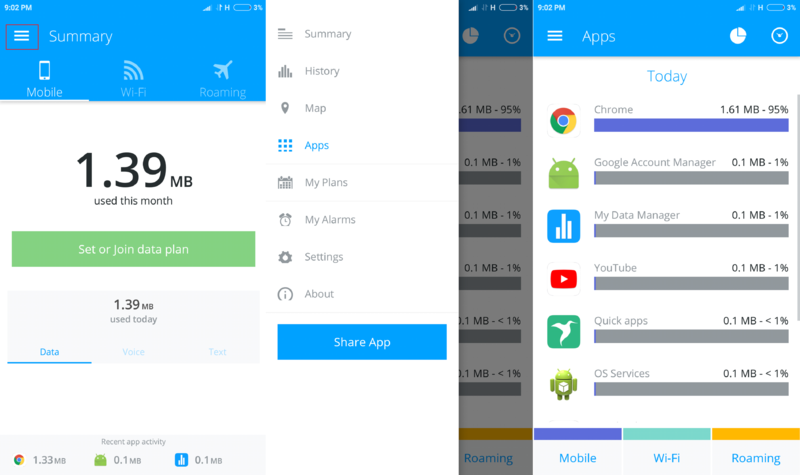 In this guide, we used an app called ‘My Data Manager’. In the homepage, users can see how much data they have consumed up to that point of the month. For more specific metrics, tap on the hamburger menu located on the top left-hand corner, and select apps. 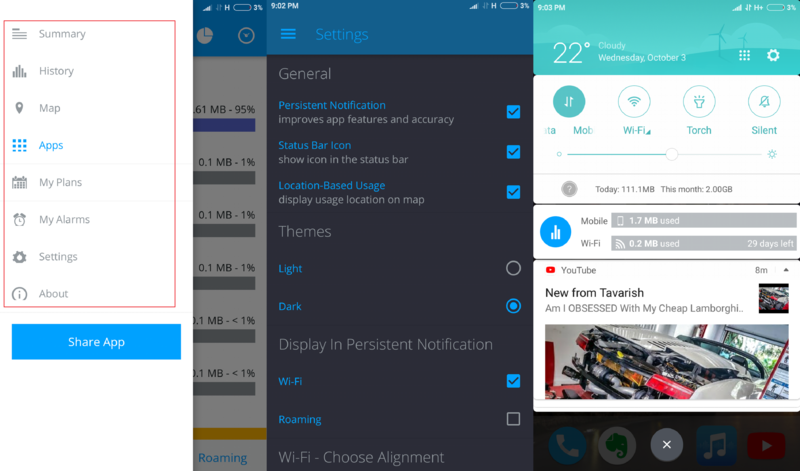 From the same menu, you can access the app’s settings, where you can adjust the theme and notifications. Feel free to also check out our guide on how to seamlessly reduce data usage.